I’m in the process of recovering from a great weekend I had at the pre-conference of Lavacon hosted by the Adobe TCS team this weekend. There is so much to tell, but I’m working on a separate post for that, so stay tuned–it should be up in a day or so. In the meantime, I just wanted to share something that I thought was pretty cool. Lavacon is taking place in Portland, Oregon, which is the home of the world famous Powell’s Bookstore. It is one of those landmarks that anyone who visits Portland has to visit, even if it’s just for a few minutes. The store occupies an entire city block, and includes both used books and new in print books. I was told by multiple sources that one should not think that an hour is enough time to spend in the store, as an hour easily turns into a whole day there. It’s THAT cool. 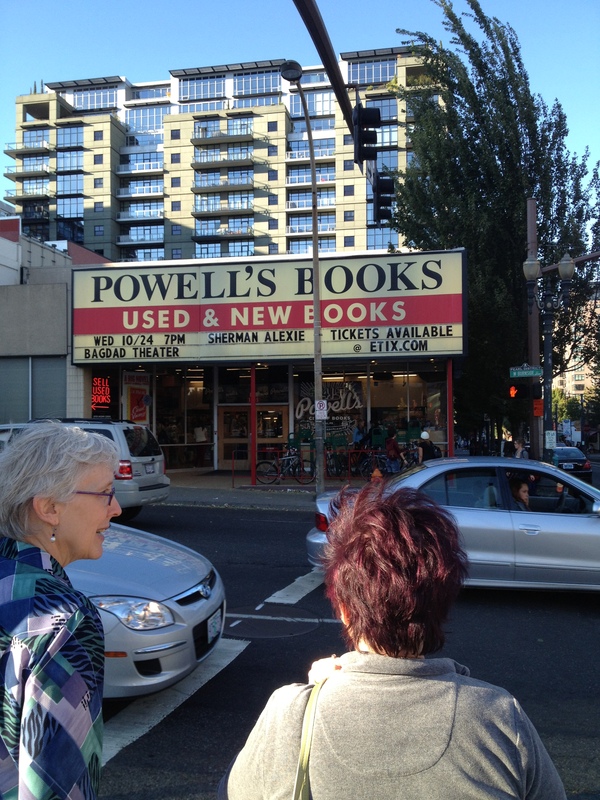 Marcia leads Val and I to Powell’s! Well, I had a very limited window where I was going to be able to check out the city before returning home from the Adobe Day event, and my new friend, author Marcia Riefer Johnson who writes the blog, “How to Write Everything,” took me and Val Swisher, who is an Adobe Day and Lavacon speaker as well as the CEO of Content Rules, to Powell’s just for a quick visit, so that a) we could say that we had been to Powells, even if it was just a brief visit, and b) to show us this neat machine that prints books for customers on the spot! 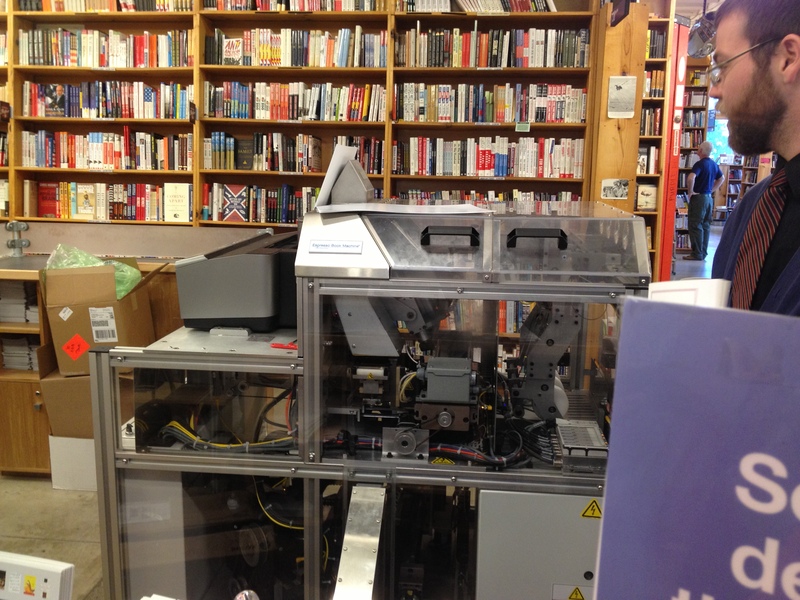 It’s called the “Espresso Book Machine“, and it prints out digital publications that are in the Powell’s catalog, and will print the book for you right on the spot. Yes, while you wait! Marcia goes into more details about how it works, and how she is using it for pre-publication purposes of her upcoming book coming out in April 2013 called, Word Up! How to Write Powerful Sentences and Paragraphs (And Everything You Build from Them. Read about how she’s doing this in her blog. Now…imagine writing the user manual for this gadget? That would be quite the interesting and exciting task, now wouldn’t it be? 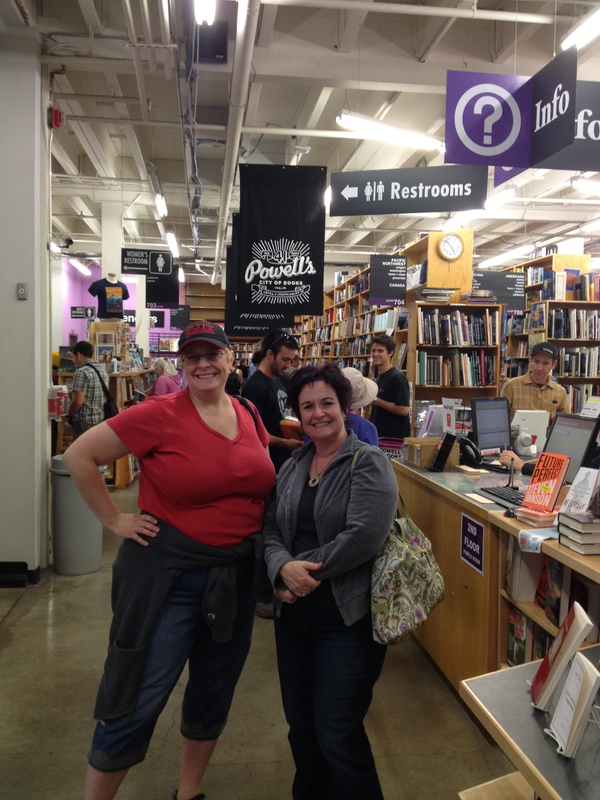 Val Swisher and I at Powell’s! Val and I both felt that if we had the chance to go back to Powell’s, we definitely would. Thanks for taking us, Marcia! 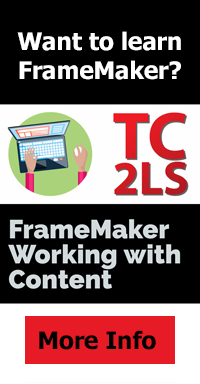 This looks like a great tool, not only as a consumer (this way, we can find lots of great tech comm resources and have them specially printed for us), but also as creators, allowing us to print our content as needed. Print is not dead! It has gone digital in more than one way! This entry was posted in Uncategorized and tagged Adobe, Adobe Day, author, Content Rules, Content Rules Inc., digital literacy, digital publishing, digital publishing on demand, Espresso Book Machine, How To Write Everything, Lavacon, Marcia Riefer Johnson, Portland, Portland Oregon, Powell, Powell's Books, print publishing, publish on demand, publishing, tech comm, Technical communication, Val Swisher, YouTube. Bookmark the permalink. 2 Responses to Who says you can’t have a PDF book and print it too? Danielle, How delightful to read your summary of our outing. Love your ending: “Print is not dead! It has gone digital in more than one way!” Well said. Come on back to Portland any time. And now I see another title of yours that I must read: “… Who Says OCD Is a Bad Thing?” Shiny! Now that I’ve discovered your blog, I may never come out.